Furlough streaming: where to watch movie online? In between caring for her mother, a young woman works part time at a prison. 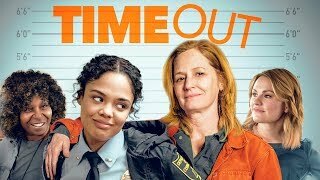 The rookie guard gets a chance to prove her mettle when she's tasked with accompanying a hell-raising inmate on an emergency furlough to visit her dying mother. But things soon spiral out of control, sending the pair on a hilarious, surprising, and ultimately touching road trip. Furlough streaming: where to watch online? Currently you are able to watch "Furlough" streaming on Showtime. It is also possible to buy "Furlough" on Vudu, Apple iTunes, Google Play Movies, YouTube as download or rent it on PlayStation, YouTube, Google Play Movies, Microsoft Store online.